A program for all ages. Simply Stories is designed to emphasize books and the arts of reading and storytelling. By keeping it simple (differing from our other Story Time offerings), we encourage participants to appreciate books, literacy, and, in today’s high-tech world, off-screen time. 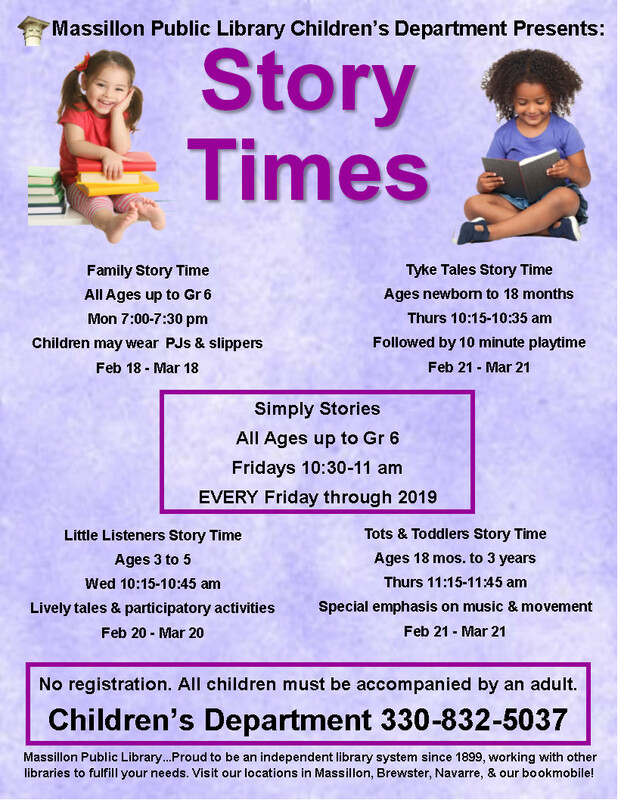 Sit back and enjoy thirty minutes of stories with no particular theme, replacing crafts, songs and rhymes with simply MORE stories. All ages are welcome, but the interest level may be from ages 3-8. Children attending story time must be accompanied by an adult.